Hazy old gold color. Savory aromas and flavors of melted beeswax, herbed cheese frittata, coriander tea, and cocktail bitters with a supple, vibrant, finely carbonated, dryish medium body and a medium-long finish with notes of pear soufflé, persimmon, mesclun, and banana chips finish. A delicately spicy saison with effortless drinkability. 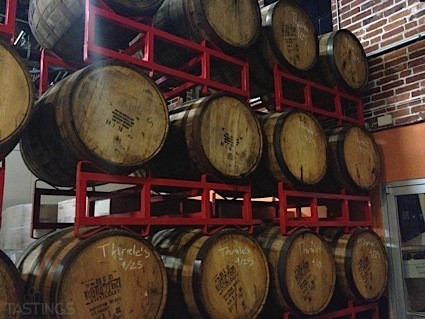 Bottom Line: A delicately spicy saison with effortless drinkability. 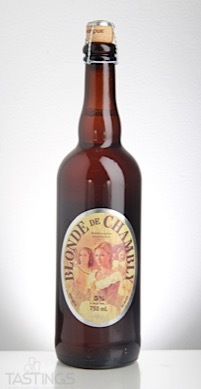 Unibroue Blonde de Chambly rating was calculated by tastings.com to be 87 points out of 100 on 3/9/2018. Please note that MSRP may have changed since the date of our review.